This frosted lifting tape from Lightning Powder is designed to gather prints from surfaces effectively at crime scenes. It tears easily, allowing technicians to quickly snap-tear off as much tape as they need. Its high-quality materials and smooth adhesive allow the print to show up clearly. Its frosted surface also prevents light reflection for greater visibility. 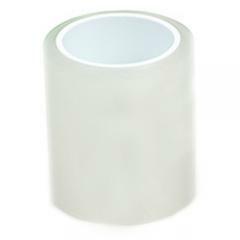 Each roll of tape comes packaged in its own reusable transparent jar to prevent physical damage or contamination. It measures 360 inches long and 2 inches across. Lightning Powder offers five different widths of lifting tape, each available in clear and frosted materials.